The annual sea level rise that’s attributed to Antarctica has tripled, from 0.2mm to 0.6mm, or from less than a tenth of an inch to nearly a quarter of an inch, he says. “That’s a big jump, and it did catch us all by surprise,” Shepherd says. Shepherd says they’ve seen the most dramatic effects in West Antarctica, where the ice sheet rests on the sea bed. “When we look into the ocean we find that it’s too warm and the ice sheet can’t withstand the temperatures that are surrounding it in the sea,” he says. That’s causing glaciers to flow more quickly into the sea. The scientists combined 24 different satellite surveys, which Shepherd says provides a more complete picture of the overall ice sheet change than previous studies. “We believe that we’ve captured all of the different satellite records that exist on the planet,” he says. To analyze the ice, the researchers use three different kinds of measurements. Satellite altimeters measure the height of the ice sheets, to see how much they are thinning or thickening over time. Another measurement records the speed of the glaciers and how they’re moving into the ocean. So what accounts for the apparent three-fold speed up in Antarctica’s melting in the last five years? Shepherd says that actually, their data shows a “a progressive increase in ice loss throughout the whole 25 year time period.” However, a period of heavy snowfall between 2005 and 2010 masked some of the immediate effects of the ice loss, accounting for the sudden, steep increase in more recent years. This new data creates a much starker picture of the future than previous estimates. Shepherd says until 2010, the data had been tracking a lower scenario which estimated that Antarctica “wouldn’t make much of a contribution to sea level rise at all” because of the effects of higher snowfall. However, he says that now the data is tracking a higher scenario, which could mean nearly 6 inches of additional sea level rise in the next century. Understanding the rate of Antarctica’s melting is crucial for these communities. 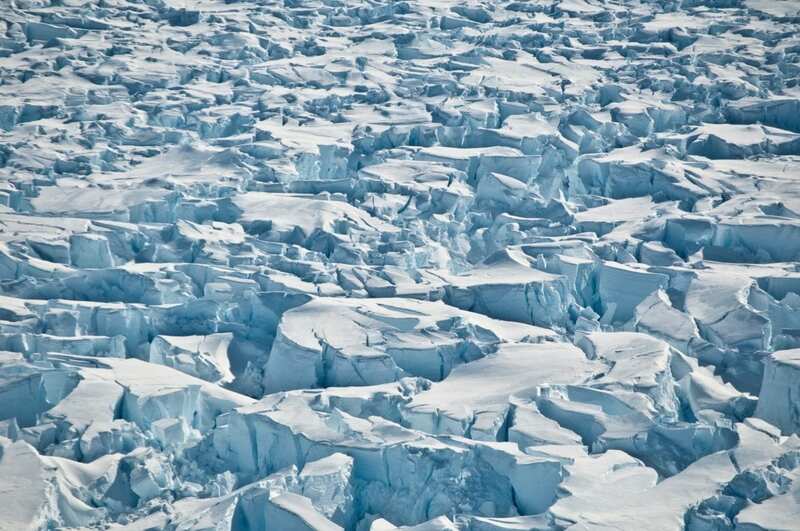 If all of the ice in Antarctica melted, global sea levels would rise by more than 190 feet.